If you’d rather not sit through Google’s two-hour I/O keynote, we’ve rounded up the biggest news about the search behemoth’s platforms, from Android Auto to Android Wear. While we can’t say there’s another sky dive escapade this year, we can say that fans of wearables should be quite pleased. Head past the break for the lowdown. Google hasn’t revealed which confection it’ll name the next iteration of Android after, but thanks to its preference for alphabetical order, it’s willing to confirm that it’ll start with the letter “L.” Not only does Android L boast a new design — check out “Material Design” below — that’s built to shine on everything from smartphones to wearables, but it’s packed with over 5,000 APIs (some of which are dedicated to those other platforms). In addition to a whole new coat of paint, the latest version of Android will finally be humming along on ART (Android Runtime), which will speed up apps significantly thanks, in part, to speedier and less frequent garbage collection. Better energy efficiency and greater control over where and how notifications appear is also rolled into the upcoming operating system. Come tomorrow, Google will push a developer preview of Android L to the outside world. Of course, along with a new version of Page and Co.’s mobile operating system comes a visual refresh, which is poised to reach across to the desktop, wearables and more. Dubbed “Material Design,” the new look borrows inspiration from paper — and it shows. The fresh feel picks up the mantle of flat design, but it does so with a bit of a twist: it incorporates depth by layering elements. Developers can assign elevation values to UI surfaces, and the framework will even render everything with the correct perspective and real-time shadows, courtesy of virtual light sources. The visual refresh also brings animated touch feedback for UI elements, as well as animations between screens, activities and apps. What’s more, the elements and animations are all available for developers to bake into their own apps. And yes, the standard elements can have their colors changed to match your own apps. 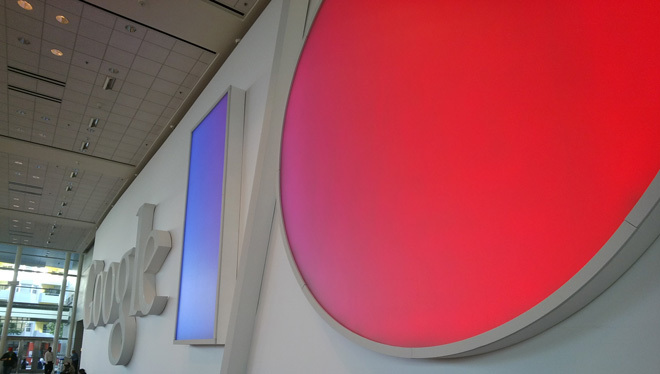 Google pulled back the wraps on Polymer at last year’s Google I/O, but it finally gave us a clearer picture of what it has in mind for the project. From a design perspective, this is how the folks in Mountain View are bringing Material Design to the web. With the help of web components, devs can pull in everything from already-styled toolbars to input fields just by using HTML. What’s more, Polymer components can handle data, too, in a fashion somewhat similar to Angular. Visit Page and friend’s Polymer Project website for some demos and a deeper dive. Google finally announced a full-fledged television solution: Android TV, software that can run on a set-top box or right inside your television. Not only does Mountain View’s TV solution handle content from the likes of Google Play (videos and games), as you’d expect, but it also plays nice with live television. As far as the interface goes, it takes Material Design cues and applies them to a couch-friendly experience. When it comes to navigation, users can zip around the UI so long as they have a D-pad and voice input, whether that’s housed in a physical controller or the Android TV’s smartphone app. Of course, the home theater experience also supports casting media from other Android devices à la Chromecast. Developers will be able to recommend content from their apps and make use of pre-made UI components. So, whose hardware will support it? Oh, just entire range of 2015 Smart TVs from Philips, Sharp, Sony and TP Vision will run Android TV. It’ll launch later this year with Android L. Starting June 26, you’ll be able to nab the very first SDK. The search giant first unveiled Android Wear and released a preview of the SDK in March, but now all bets are off. On June 26th, Google will release the complete SDK. What’s more, devs and the general public can actually get their paws on their very own Android Wear smartwatch, by way of Google Play. Currently, only an LG and Samsung timepiece are available, so you’ll have to wait until the end of the summer before scoring the curved Moto 360. Google tipped its hand at CES when it announced that its mobile OS would head to cars, but now it’s finally shown us just what that’ll look like. Christened “Android Auto,” Mountain View’s in-vehicle experience runs on Android phones and is cast to a car’s in-dash screen. When it comes to UX, users interact with the software with touch controls and voice commands. Of course, turn-by-turn directions, calls, voice-enabled messaging, music and bits of Google Now are included in the experience. Developers will be able to forge apps with the Android Auto SDK, but Google’s only opening up its audio and messaging APIs — which are also used for notifications on Android Wear — when it lets its SDK into the wild “soon.” Looking to drive off in a car equipped with Android Auto? Automobiles outfitted with the tech will hit car lots by the end of this year. Alright, you’ve heard enough about what Google peeled the wraps off of at I/O, but how can you get ahold of most of it? Head here to download the appropriate SDKs.